Security has always been of the essence and if you live in Tarrytown, NY then Red Fox Fence is the company that you should call to have a fence installed on your property. Red Fox Fence is your one stop center for your home fencing needs. You can contact us on (845) 254-0330. 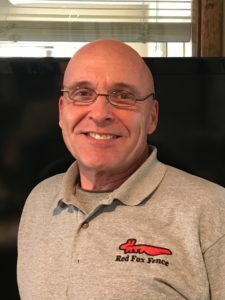 Red Fox Fence has had a long history of providing exceptional service to the Tarrytown, NY community. We install all sorts of fences and driveway entry gates. From perimeter fencing for your property, to tennis court and pool fencing, driveway gates, and more. Red Fox Fence has the expertise, experience, and the team to complete your fencing project. Certainly, many homes in the Tarrytown, NY area have inground swimming pools. As a company that has over 12 years’ experience in designing and installing fencing for your pool to keep it safe and secure. We have a very experienced team that is committed to exceeding your expectations. We also specialize in other types of security and perimeter fencing, as well. From driveway entry gates, to deer fencing, garden fencing, and more, Red Fox Fence is the best choice to hire for your next fencing project. Whatever your needs may be, please contact us at (845) 254-0330. Tarrytown, NY is a vibrant village in Westchester County, NY. Westchester is one of the most affluent counties in New York. It is very close to the famed Hudson River. According to statistics, Tarrytown, NY has a total area of 10 square miles with a total of approximately 4,5oo households. With respect to transportation, Tarrytown, NY is connected by highway I-87. The other highway connecting Tarrytown is I-287. Highway I-87 connects Tarrytown to New York City. There is also the Tarrytown railway station which is served by the Metro-North Railroad which is a historic passenger service. In this village, you have alternatives with Be-line Bus System being one of the transportation services in the village, as well. Tarrytown, NY also hosts the corporate headquarters for Hitachi America, Bayer Health Care and Siemens Medical Solutions. Tarrytown has been ranked the third best place for small businesses in the nation, as well. There are also a great number of attractions in Tarrytown, NY as well. Among the most notable are Lyndhurst, the Gothic Revival mansion, Sunnyside, and the famous residence of author Washington Irving. There is also Tarrytown Music Hall, which is famed for being one of the ancient theaters in Westchester. Many people also visit the castle located on the Hudson. Tarrytown is also the home of some very famous people Mark Twain, the famous author of many amazing books among other notable people.